When you have problems with your internet connection, one of the most viable solution is to change the DNS address. Especially if only work some internet-using applications, but the HTTP/HTTPS requests or other internet services do not work properly. It was conceived as a hierarchical naming system for computers, services or any resource connected to Internet or a private network. Its main function is to translate and/or resolve intelligible names for people in binary identifiers associated with networked computers, this in order to better target and address these devices worldwide. When a user writes a web address in the address bar of the browser, the computer will fetch hierarchically by the translation of that address in an IP address. We said hierarchically, because normally the first search begins in the DNS's root (servers that keep big routing tables that run the heart of this system) and once we have found the correct mapping, the machine will find the specific address of the computer or "host" linked to DNS servers into particular domain that we are seeking. Common users never communicate directly with the DNS server: name resolution is done transparently by the client applications (such as browsers, email clients and other applications that use Internet). When making a request that requires a DNS lookup, the request is sent to the local DNS server operating system. The operating system, before establishing any communication, check if the answer is in the cache. In a negative response, the request is sent to one or more DNS servers. 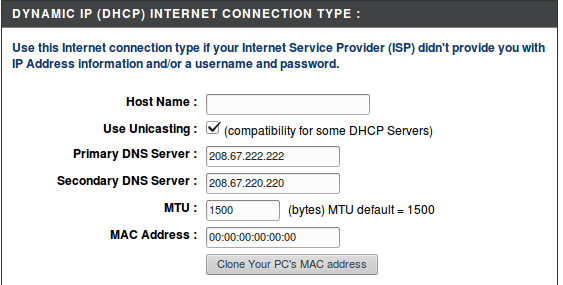 We can configure the DNS Servers manually or automatically via DHCP. In other cases, network administrators have set up their own DNS servers. Before starting thins we need to know the address of the Gateway router to access its web configuration. 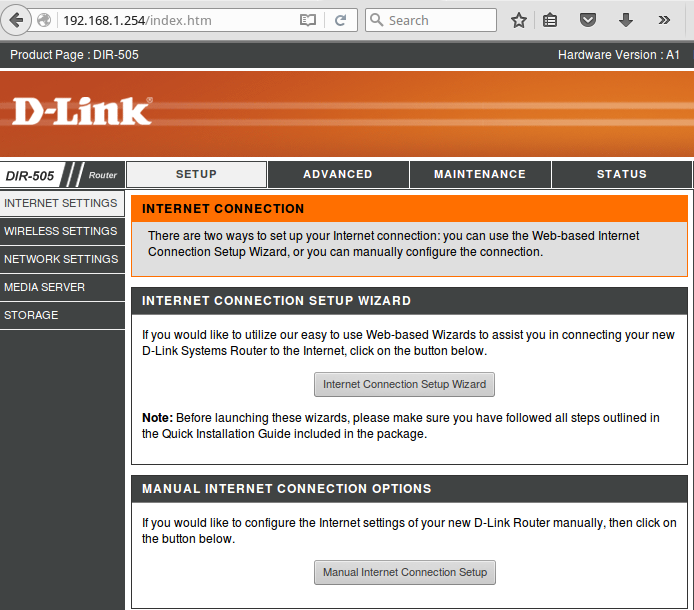 In any case, assuming that the Gateway uses the well known IP Address 192.168.1.254, used by some brands and models of routers, let's start giving an example using a D-LINK router.